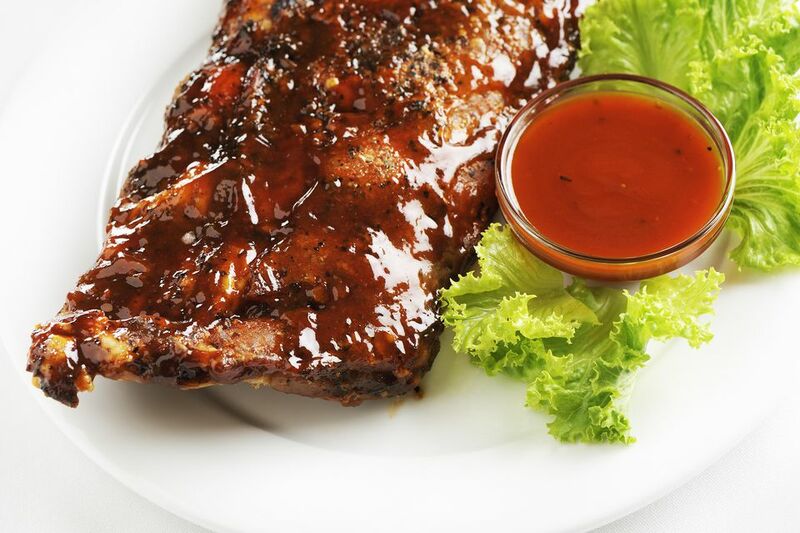 This fantastic tart and spicy sauce is sure to liven up anything from grilled chicken breasts to pork chops, and ribs. Combine black and white pepper, onion and garlic powder, salt and cayenne in a small bowl. Set aside. Fry bacon in a large saucepan until crisp. Remove bacon (reserving rendered fat) and place onto a plate lined with paper towels. Let cooked bacon drain fro 5-10 minutes. Once cooled enough to handle, crumble the bacon into fine pieces. With a spoon, remove any of the impurities from rendered bacon fat. Place pan back on heat and add onions. Cook over medium heat until onions are soft. Add spice mixture and stir. Add stock, chili sauce, honey, pecans and orange juice, bacon, garlic, Tabasco and lemon and orange rinds and pulp. Reduce heat to low and let simmer for 10 minutes. Stir occasionally. Remove orange and lemon rinds and continue cooking for an additional 15 minutes. Stir occasionally. Right before taking sauce off of heat, add butter and stir in until melted. Remove from heat and allow sauce to cool for 10-15 minutes. Pour sauce into a food processor or blender and mix until smooth. The sauce is now complete. The sauce can be stored in an airtight container in refrigerator for up to one week after preparing. Make sure to reheat if using as a baste on grilled meats.